Welcome to our new website ‒ your go-to reference for practical information about alpaca breeding, association activities, member breeders, and so much more. Founded in 2012, Association Alpaga Québec has been evolving in leaps and bounds. Whether you are an established or future alpaca breeder or you simply love these fine animals, this is where you will find everything you need. Association members are dynamic, flexible people and creative artisans as well. While we are dedicated to improving Québec herds, we also firmly believe in the profitability of alpaca breeding. We have also implemented a strategic plan to prepare for our industry’s future, and ensure its growth and prosperity. 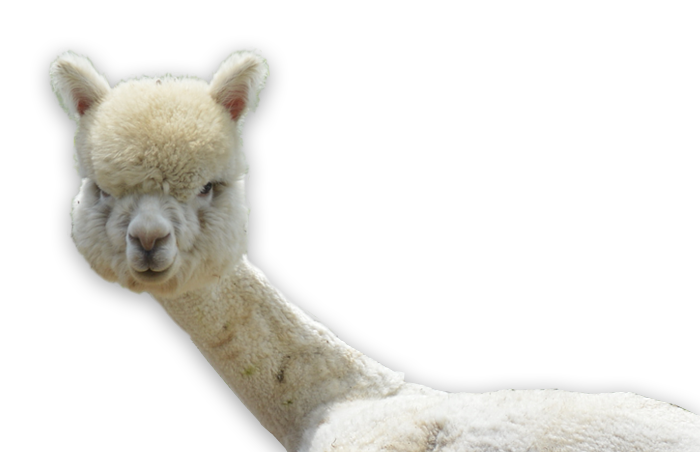 Alpaca lovers, do please explore our lovely website and discover our Association’s activites. In every respect, our website is both a tool and a benchmark, so enjoy the experience. We look forward to meeting you someday very soon! Provide leadership, expertise and experience to all Association member alpaca breeders so they may attain their business goals, and contribute to the success of Québec’s alpaca industry.